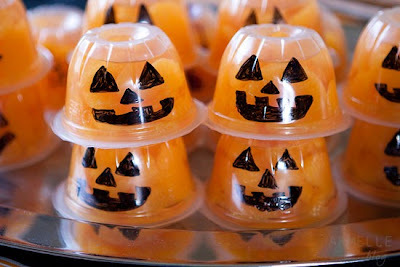 Any way you can add a little fun to Halloween in a way other than chocolate bars is always a win in my book. Don't get me wrong, there are a lot of chocolate bars too, but you have to eat SOMETHING else in the month of October. 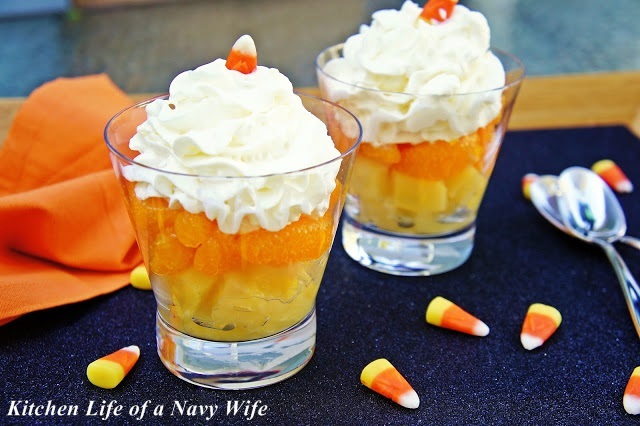 These candy corn fruit cups are a fun treat the kids could enjoy after school the week of Halloween. 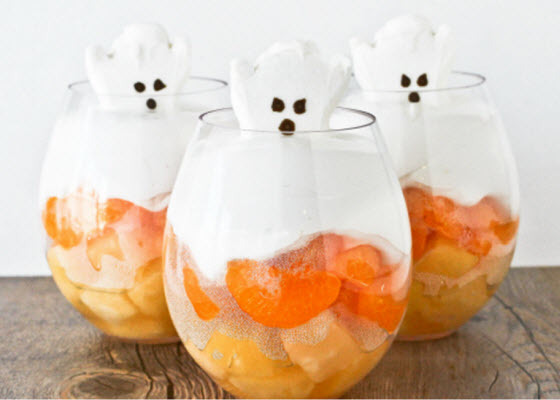 If Ghosts are more your style, Shopping Blog, has this version of a Halloween fruit cup, topped with some ghost peeps. 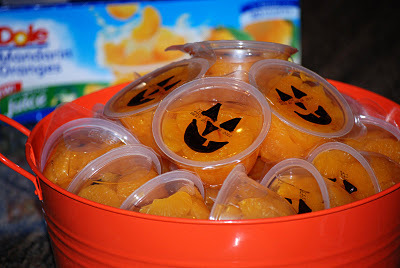 If you are looking for something that you can pack in a school lunch or transport easily, these mandarin orange fruit cup jack-o-lanterns I found over at Pimp My Dinner last year are still one of my favorite ideas. 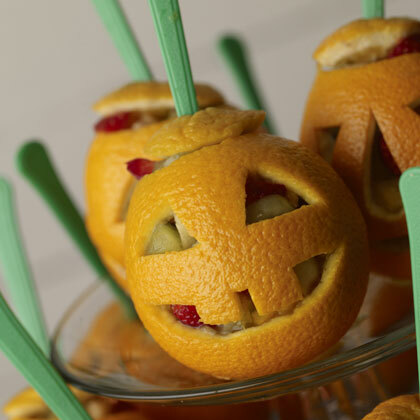 If you want to stack them, you can put the pumpkin face on the side like these mandarin orange pumpkin snacks from Armelle. And if you want to get a little extra carving practice in, you could always serve your fruit inside of a jack-o-lantern, like these orang jack-o-lantern fruit salads from Family Fun, also known as snack-o-lanterns.